Program Guidelines: Customers purchasing or leasing a new, unused and unlicensed, 2019 Avalon Gas or Avalon Hybrid from dealer ground stock between April 2, 2019 and April 30, 2019 are entitled to an additional $2000 Camry Loyalty Cash if they meet the following conditions: 1. Customer is a current Camry Gas or Camry Hybrid owner/lessee (see below for specific requirements) 2. Customer purchases/leases an eligible 2019 Avalon Gas (3544, 3547, 3548, 3554) or Avalon Hybrid (3504, 3507, 3514) model 3. Camry Loyalty cash must be applied towards the purchase/lease of an eligible new 2019 Avalon Gas or Avalon Hybrid model 4. Camry Loyalty Cash is transferable within the household (same address as current owner/lease) 5. Customer is not required to trade in their existing Camry G/H vehicle to be eligible 6. This offer can be combined with any existing incentive offers Customer Requirements for Camry Loyalty Cash: To be eligible for the Camry Loyalty Cash, the following conditions must be met: 1. 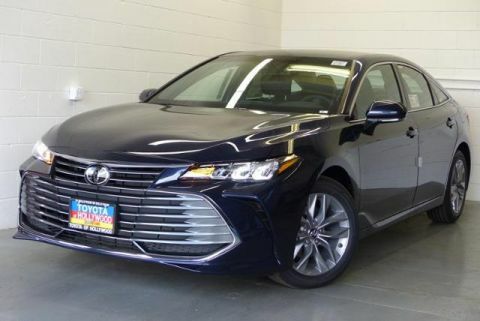 Purchase or Lease a new 2019 Avalon Gas (3544, 3547, 3548, 3554) or Avalon Hybrid (3504, 3507, 3514) model 2. Customer must provide proof of current ownership of a Camry G/H vehicle. Acceptable proof is: Vehicle registration or valid proof of insurance showing the make, model, customer name and address. 3. If transferred within the household, the address on the current vehicle registration or other proof provided must be the same as that of the purchaser/lessee of the new eligible 2019 Avalon G/H model. 4. Customer must apply the Camry Loyalty Cash towards the purchase/lease of an eligible new 2019 Avalon G/H model.